In my quest for natural homemade products, I was looking to make Natural Ammonia Free Window Cleaner. I started with just vinegar and water, but found it needed some additional oomph. That mixture left my husbands car windows streaky, not good when you are driving. So I started doing some research and found that I could add some lemon juice to window cleaner mixtures and that would possibly fix the problem. I ended up taking several factors into consideration. 1. I found that I distilled water works better because it has fewer minerals to leave a film. 2. I did add the lemon juice to my window cleaner, which works great, and it smells good. 4. Do not wash the windows in direct sunlight it will cause the cleaner to dry to quickly and streak. 5. I read at http://www.tipnut.com/ to wash one side of your window wiping up and down, and wash the other side of the window side to side will help reduce streaking. It really works. So now that I have given lots of information, here is the recipe. 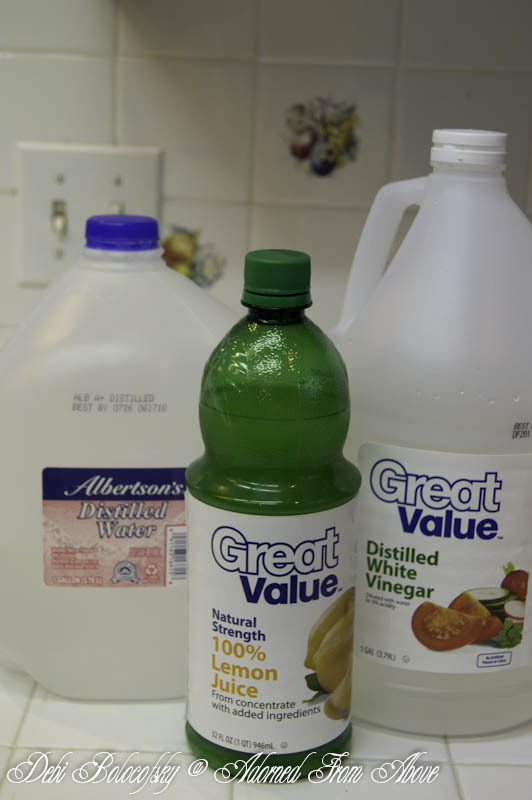 Mix all ingredients together in a spray bottle, and clean away. 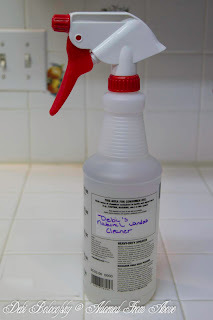 Let me know what you think of this recipe, and what you use in your window cleaner. I love hearing from you. Thanks for the tip! New follower from the hop. Now following you via google friend, fb, twitter and pinterest. Would love follows back. I will be by in a minute. Thanks for visiting and following. Participating in the MNB Hop for the first time! Thank you for coming over. I will be over in a minute to visit. What a great idea. I must try this. I would love it if you could share this wonderful post at our What’s it Wednesday linky party. I hope you can join us. Thanks so much for coming by. I will add you to my list for this week. Hi Debi, I want to start making more of my cleaners at home too. I can't wait to try this. Thanks for sharing at Mom's Library! I hope that you like it. It is an easy one to make. Tomorrow is an all purpose cleaner. Again another easy one. gotta try this. thank you for sharing! Thanks so much for coming by for a visit. Going to give this a whirl Debi. I love the smell of lemon. Thanks for sharing with SYC. Thank you so much for hosting and following.